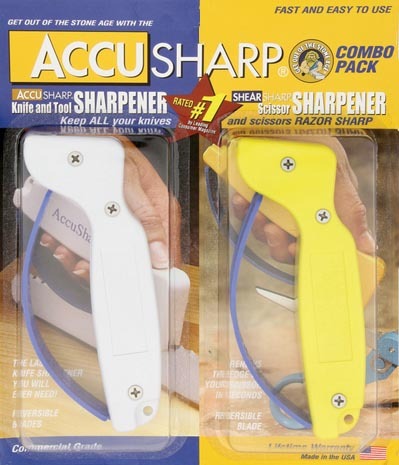 Sharpener Combo Pack ,Includes knife and tool sharpener which uses no oils or stones. Tungsten carbide sharpener will not rust and can be cleaned in dishwasher. Full length safety guard protects fingers. White handle. Also includes Shear and Scissor sharpener with yellow handle.